🖱️ Bhavnagar Nagar Sixan Samiti Sanchalit Ambika Prathmik Shala No:-3 School Profile. 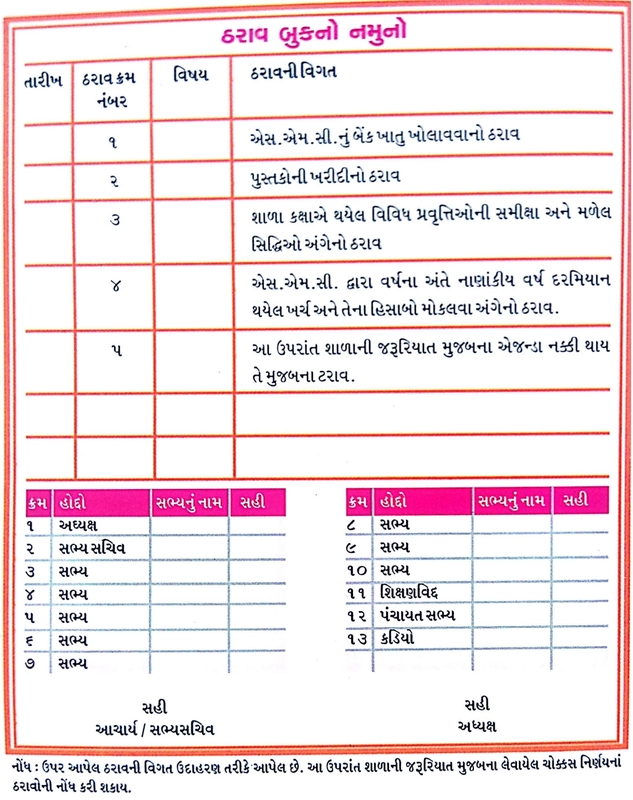 School Profile Useful to All work in school data.all data entry end serchs engine Exam for Useful file for the planning of the school for the year 2018. This file has been prepared very beautifully. In this hope that we will be very useful in Exam. This file can be used by hooking up your data. You can get such a grade and make a good impression on the incoming officer. 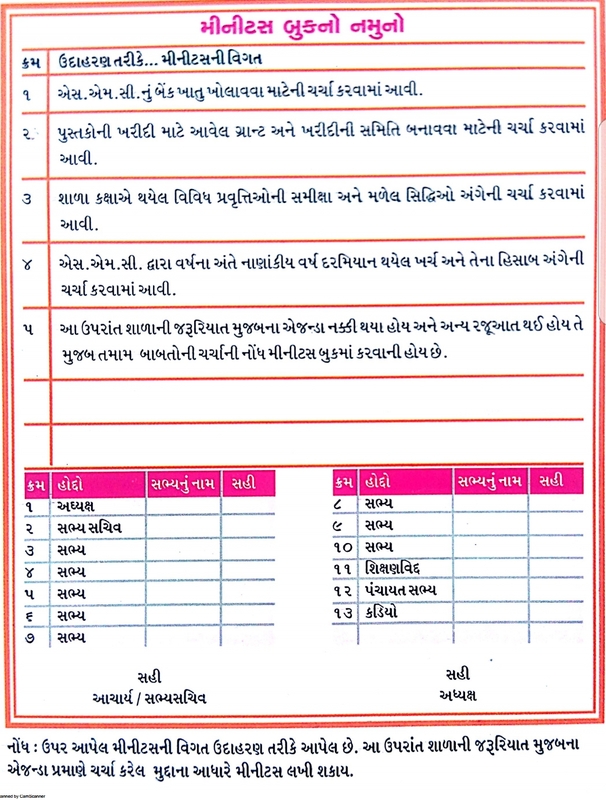 For the students of Std 3 to 5 useful for Exam 2018, there is a love of reading counting writing in which children can easily read and ask about what type of talent is asked in the previous talents, so that children can read easily to children standard Can read and read write Exam. 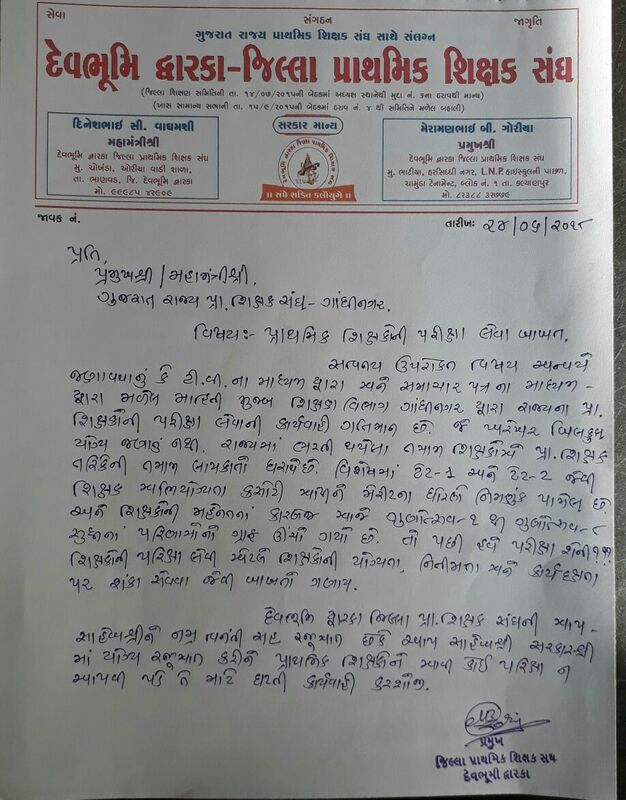 PRATHMIK SIXAKO NI PARIXA LEVA BABATE DEVBHOOMI DWARAKA ANE KUTCH JILLA SIXAK SANGH NI RAJUAAT TEMAJ NEWS REPORT. :- MUST READ. 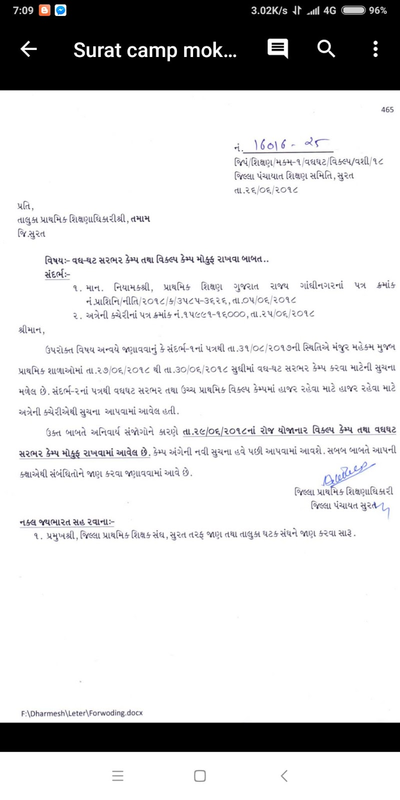 KHEDA - SHALA MA MOBILE PHONE NO UPAYOG NA KARVA BABAT MAHTVAPURN PARIPATRA DATE- 29-6-2018. 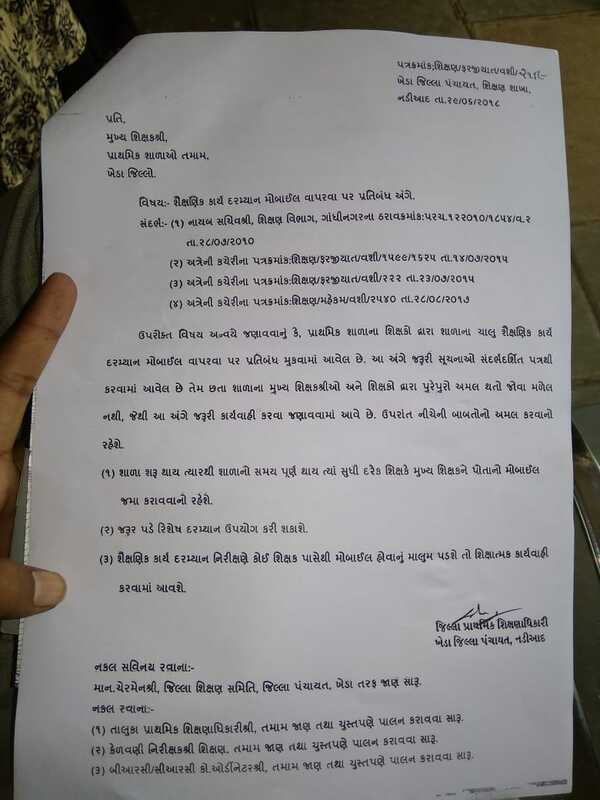 DAHOD- PRATHMIK SHIXAKO NI TALIM NA AAYOJAN TEMAJ SIXAKO NE HAJAR RAKHAVA BABAT PARIPATRA DATE- 26-6-2018. 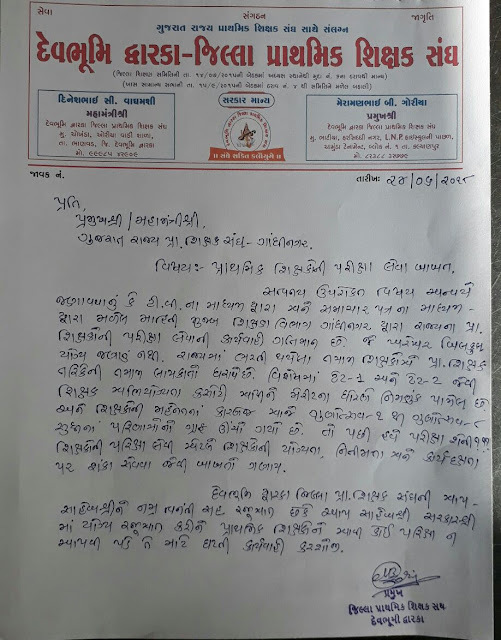 SABARKANTHA- SHALA NA SAMAY BABAT LATEST MAHTVAPURN PARIPATRA DATE- 29-6-2018. 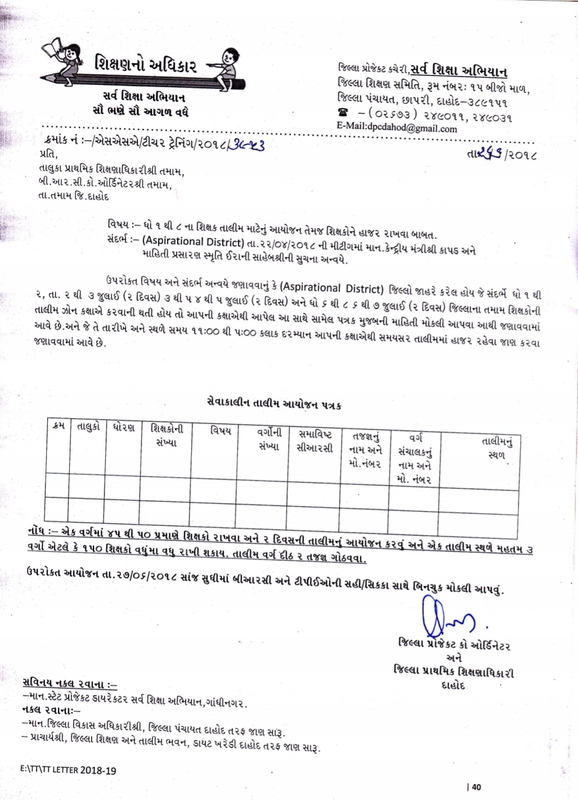 DEVBHOOMI DWARAKA:- ONLINE BADLI PHASE-2 AANTARIK BADLI KARAVEL TAMAM SIXAKO NU LIST. KNOWLEDGE POWER TAT 20 MODEL PAPER BOOK. 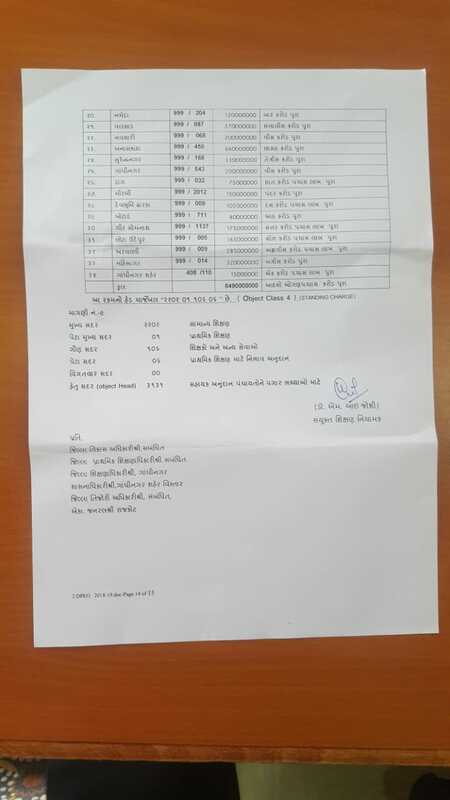 IF ANY QUERY IN THE PROVISIONAL MERIT LIST, ALL THE CANDIDATES ARE HERE BY INFORM TO COME PERSIONALLY AT THE OFFICE OF THE COMMITTEE WITH COPYS OF THE NECESSARY DOCUMENTS ON OR BEFORE 29-06-2018, 4.00 PM. BREAKING NEWS:- TAT SECONDARY EXAM DATE DECLARED BY SEB DATE:-29/07/2018. AMRELI:- ONLINE BADLI PHASE-2 AANTARIK BADLI KARAVEL TAMAM SIXAKO NU LIST. PDF FILE DOWNLOAD KARO. 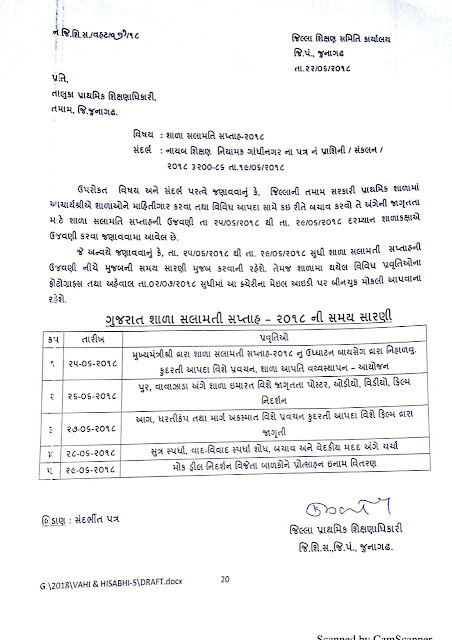 JUNAGADH:- ONLINE BADLI PHASE-2 AANTARIK BADLI KARAVEL TAMAM SIXAKO NU LIST. CLICK HERE TO VIEW THIS LIST. SURAT:- OVER SETUP CAMP ANE VIKALP CAMP MOKUF RAKHAVA BABAT LATEST PARIPATRA. 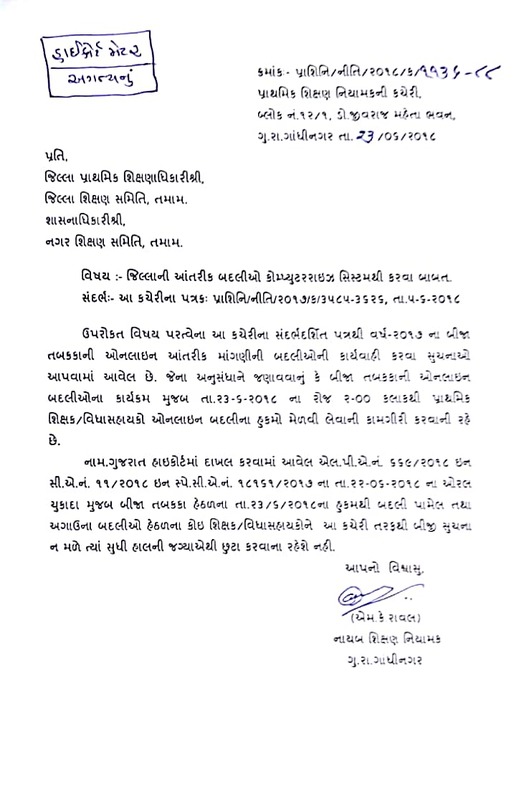 BREAKING NEWS:- BANASKANTHA ANE BHAVNAGAR JILLA NO ONLINE BADLI CAMP NO SECOND ROUND MOKUF RAKHAVA BABAT NIYAMAK NO LATEST PARIPATRA. NEW PRAGNA ABHIGAM VARSHIK AAYOJAN PDF FILE BY SUJAY PATEL. MUST DOWNLOAD. 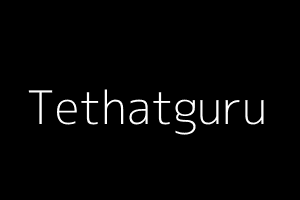 Application Form, Attorney, Badli, Bank, Bao, Bisag, Blood, Call letter, Ccc, Circular, Claim, Clerk, Conference Call, Constable, Cpf, Crc, Credit, Current Affair, High-court, Hngu, Hosting, Hsc, Htat, Ibps, Insurance, Iti, Ivrs, Job , Lawyer, Loans, Merit List, Merit, Talati, Tat, Tat, Tat-Htat, Technology Tips ,Tet, Toll Free Number, Trading, Training, Transfer, Unit Test, University, Upsc, Upsc, Mobile, Current Affairs, Degree, Module, Mortgage, Mp3, Neet, Nmms, Notification, Ntse, Offer, Ojas, Paripatra, Pdf File, Poem, Pragna, Pran, Prayer, Primary, Psi, Quiz, Recovery, Requirement, Results, Revenue Talati, Scholarship . PRATHMIK SIXAKO NA JUNE PAID JULY NI PAGAR-GRANT BABAT NIYAMAK NO LATEST PARIPATRA DATE:- 26/06/2018. 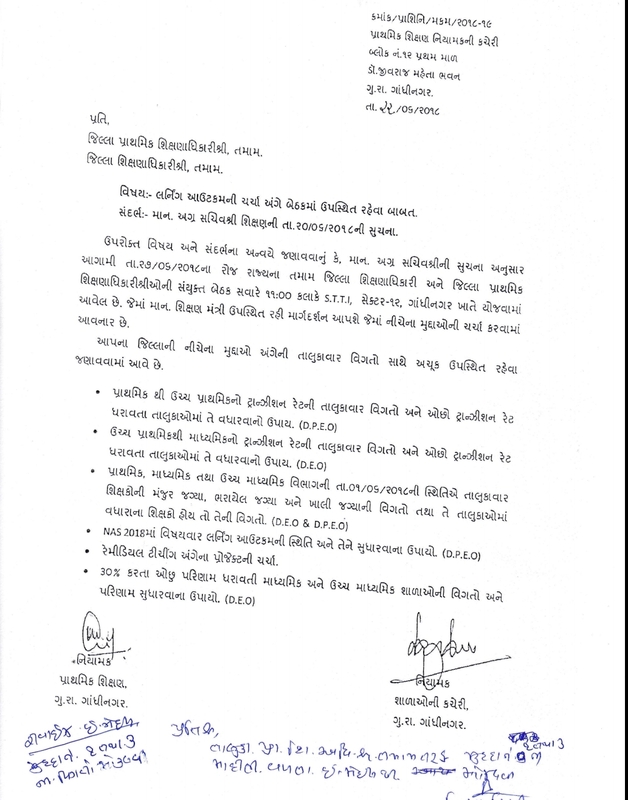 ACTIVE ANK NO -23 JUNE 2018 CURRENT AFFAIRS. one of the best and complete magazine of the time, with the standard information of things, is thr active issue.CURRENT AFFAIRS Magazine is useful to anyone preparing any exam. June Issue - WEEK-23. Click download button below to download and share it with friends as well. 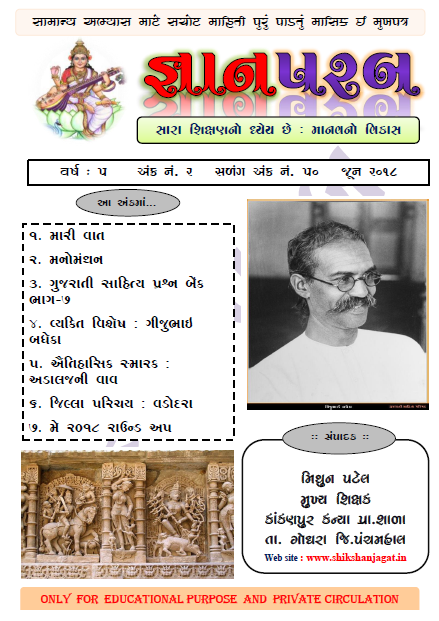 Gyanparab Educational E- Magazine June 2018 Issue Declared. GSERB has published List of candidates not allocated to the school for Head Teachers (Principal) Recruitment 2018, Check below for more details. Teacher is a god for parents.Teacher is always a honest man,Teachers treat their students like their own children,Their committed work cannot be compared to anything. Teachers are those who always take care of their all school students whole life. They check their food habits, cleanliness level, behaviour to others, and notebooks, practical books, gernal, concentration towards study. 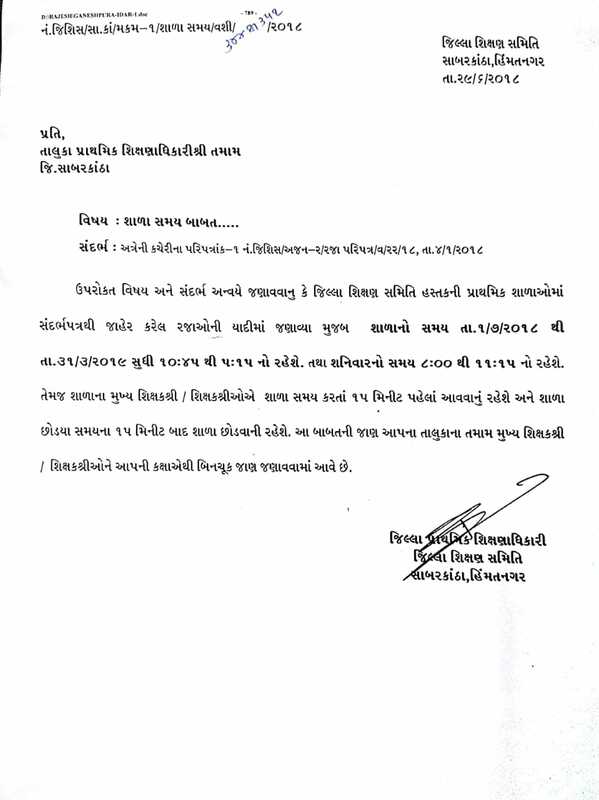 Teacher regularly takes exams of all the subject.they regularly Check their EXAMINATION papers. The teacher’s profession is considered as the best profession of the world.Teacher's profession is awesome and ideal profession in this world as they provide selfless and honest duty to shape someone’s life. Teacher is a god for students. 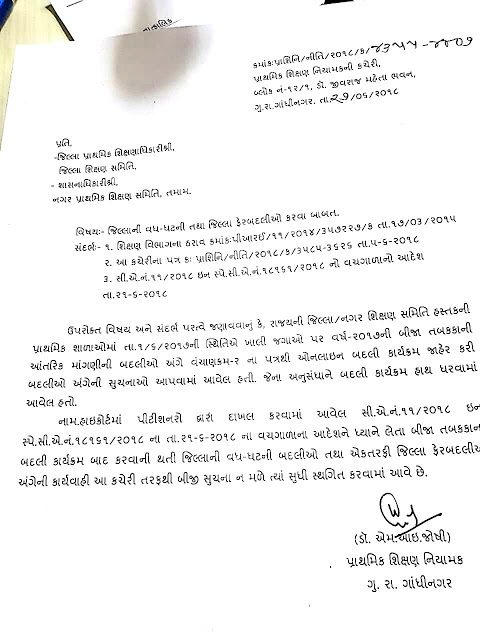 SARKARI PRIMARY SHIXAKONI SHIXAK SAJJATA SARVEXAN KASOTI LEVA BABAT LATEST INFO. 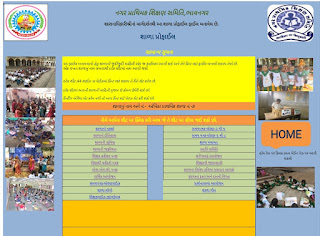 CLICK HERE TO DOWNLOAD BADLI LIST FILE. 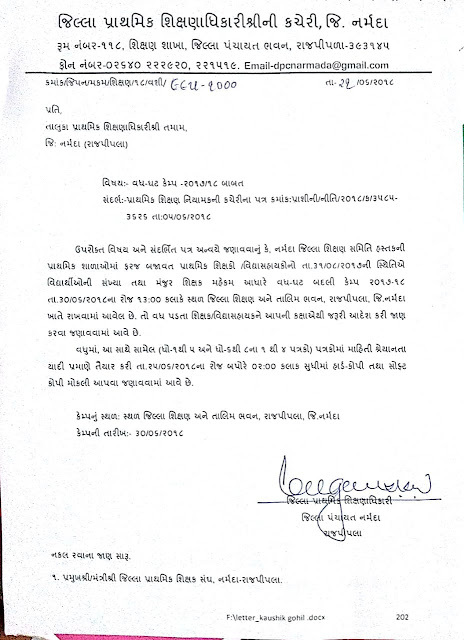 GANIT-VIGYAN ANE PARYAVARAN PRADRASHAN VARSH -2018 BABAT GCERT NO LATEST PARIPATRA DATE:-22/06/2018. 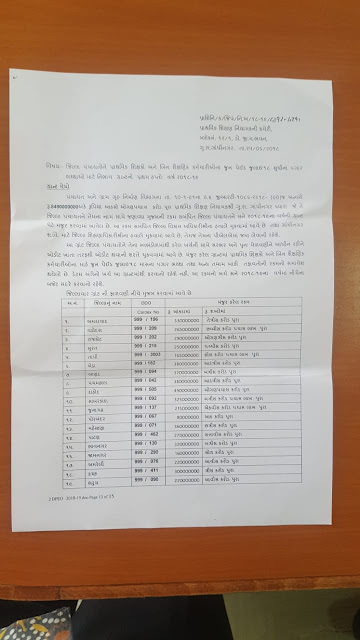 AA VARSH NA MATHS- SCIENCE PRADRASHAN NA 5 VIBHAG NA KYA SUBJECT CHHE TENU LIST. SMC THARAV BOOK SMC AGENDA BOOK ANE SMC MINUTES BOOK NA NAMUNAO. MODULES PAGE. SMC THARAV BOOK SMC AGENDA BOOK ANE SMC MINUTES BOOK NA NAMUNAO. 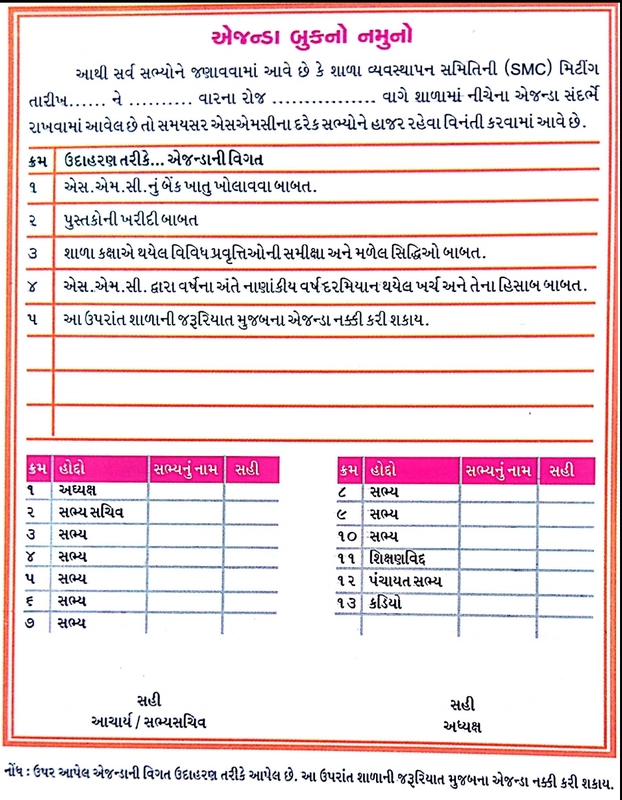 USEFULFOR ALL PRIMARY TEACHER AND PRINCIPAL OF GUJARAT. CLICK ON BELOW LINKS TO DOWNLOAD. 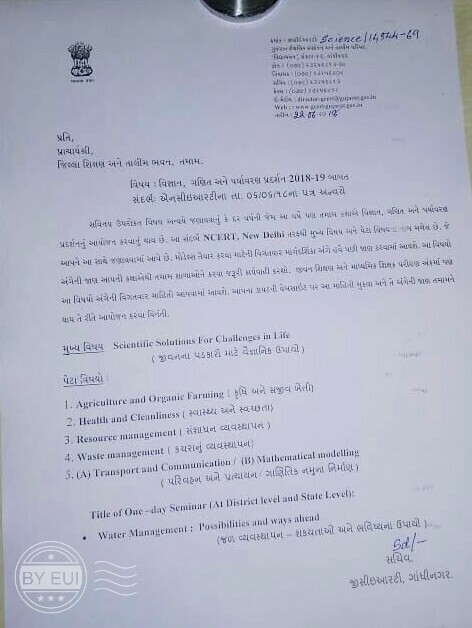 Education All Circulars of Districts And Niyamak kacheri Gandhinagar,all Primary, Secondary and Higer Secondary Departme & Non-Government Sector from all over india. 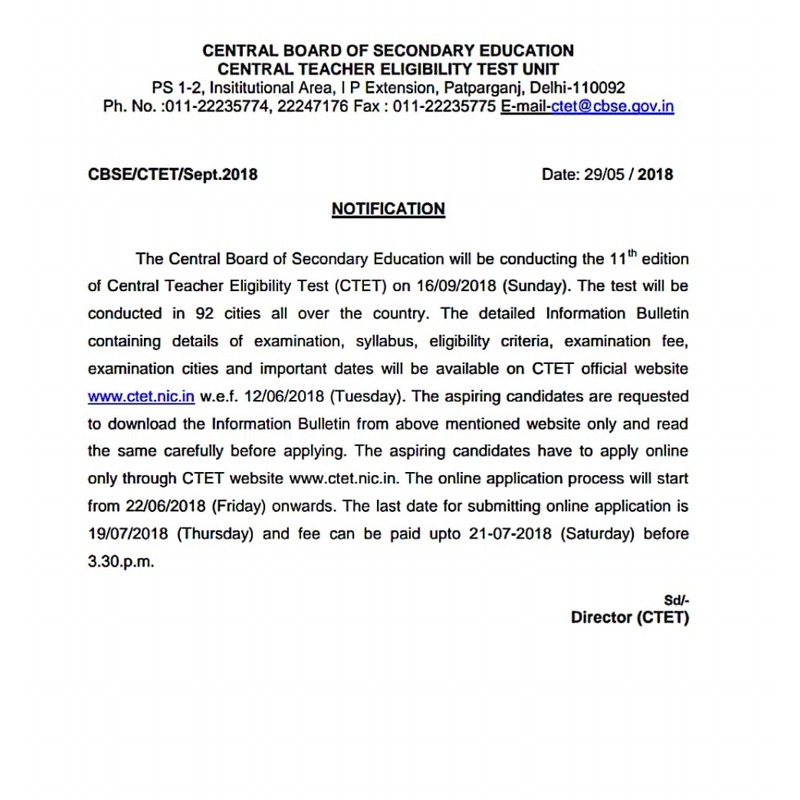 This blog is daily update about primery school letest circular , Educational news paper news, Breking news , all Goverment and private job ,Letest Techno tips, Insurance, Loans , Letest Mobile tips and all Competitive exam most imp gk, model paper, exam old paper, model paper in mp3 and most imp gk mp3 exam materials... Like Tet,Tat,Htat,Police constable bharti, Gsssb Clerk, Talati, and other exams, This blog You Can find Lots of Study Materials for All Competitive Exams Preaparation Like Tet,Tat,Htat,Gsssb Police Constable, Talati, junior clerk Exams This Education News Cutting From Gujarat Various Popular Newspaper Like Navgujarat Samay,Divya Bhaskar, Sandesh, Gujarat Samachar, Akila News And Many Other Newspaper. 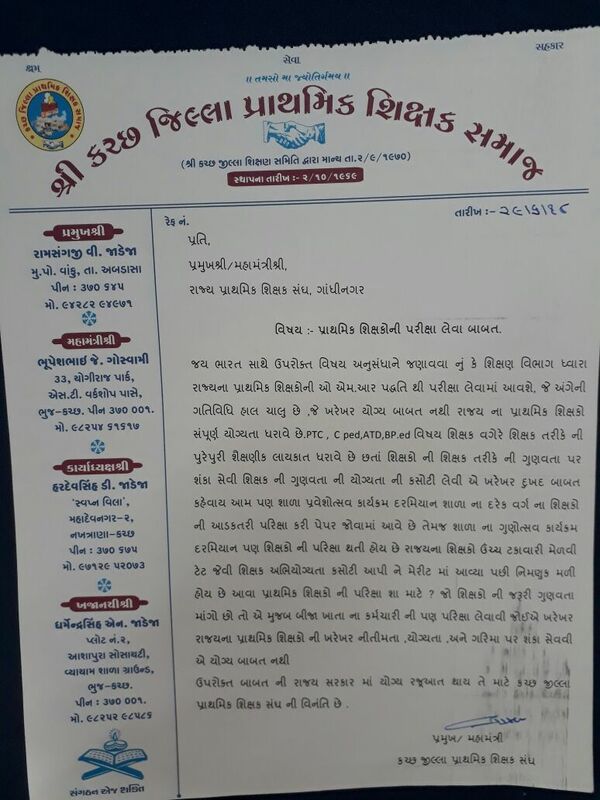 BADLI PAMEL SIXAKO NE CHHUTA NA KARVA BABAT NIYAMAK NO LATEST PARIPATRA DATE:-23/06/2018. 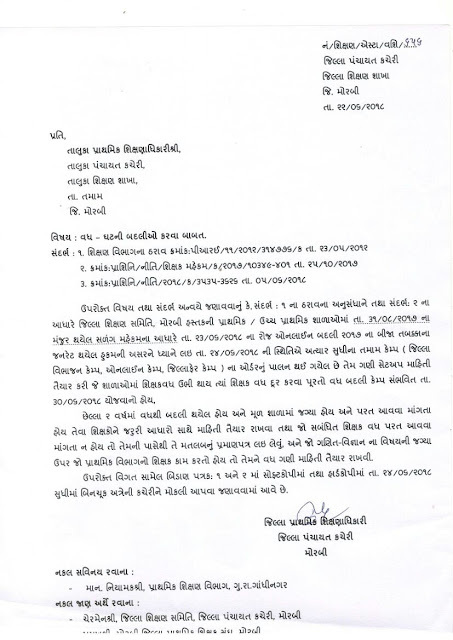 NARMADA VADH GHAT NA CAMP BABAT PARIPATRA DATE -21-6-2018. 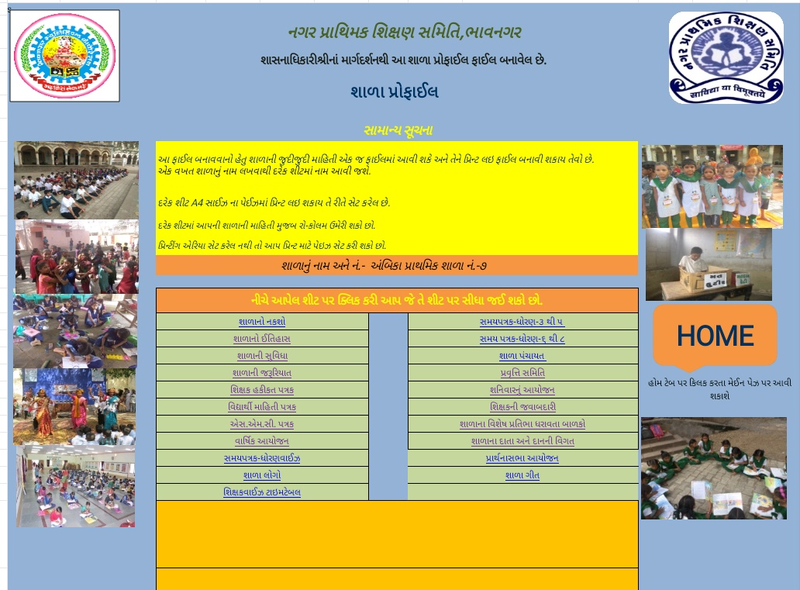 ARVALLI- VADH GHAT CAMP BABAT PARIPATRA DATE-21-6-2018. 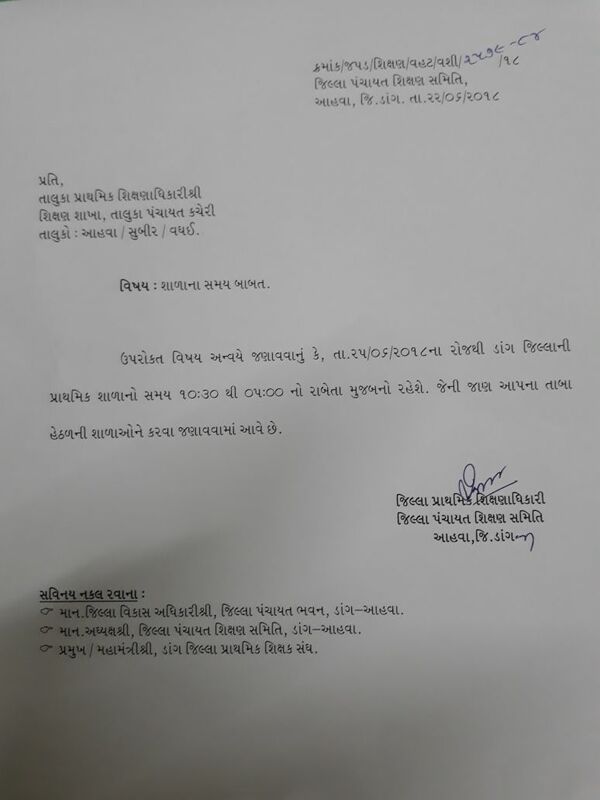 JUNAGADH- SHALA SALAMATI SAPTAH NI UJAVANI KARVA BABAT PARIPATRA DATE-22-6-2018. 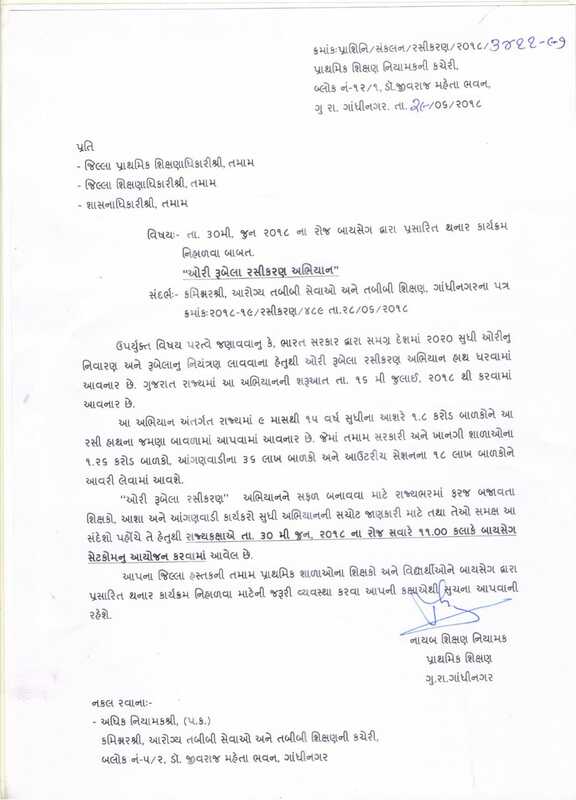 BREAKING NEWS:- GRANTED SECONDARY ANE HIGHER SECONDARY PRINCIPAL BHARATI:- SCHOOL SELECTION LIST DECLARED. CLICK HERE FOR INSTRUCTIONS FOR HEAD TEACHERS. CLICK HERE TO DOWNLOAD CANDIDATES WISE SELECTION LIST. 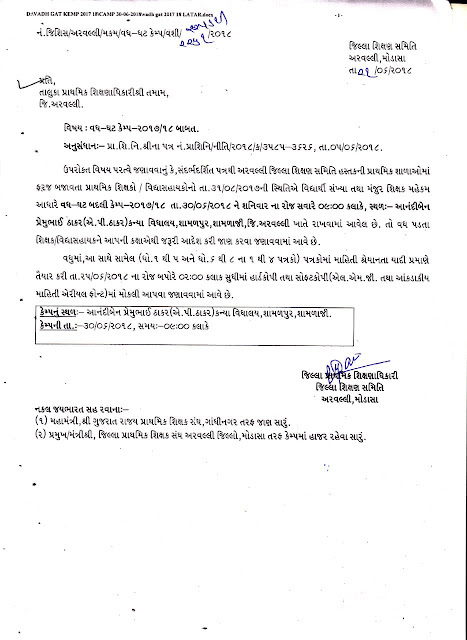 CLICK HERE FOR SCHOOL WISE SELECTION LIST. 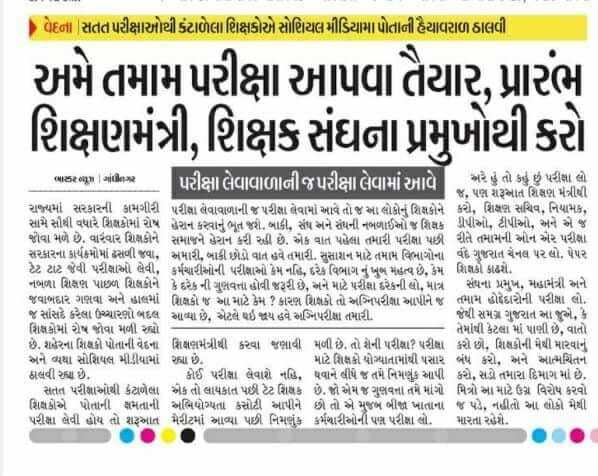 KUTCH:- BADLI PAMEL SIXAKO NE CHHUTA NA KARVA BABAT LATEST PARIPATRA DATE:- 22/06/2018. 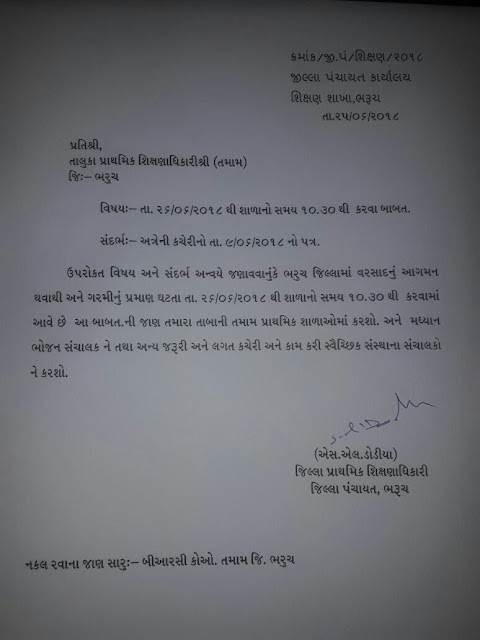 DANG:- Prathamik School Na Time Change Babat No Latest Paripatra Date:- 22-06 -2018. 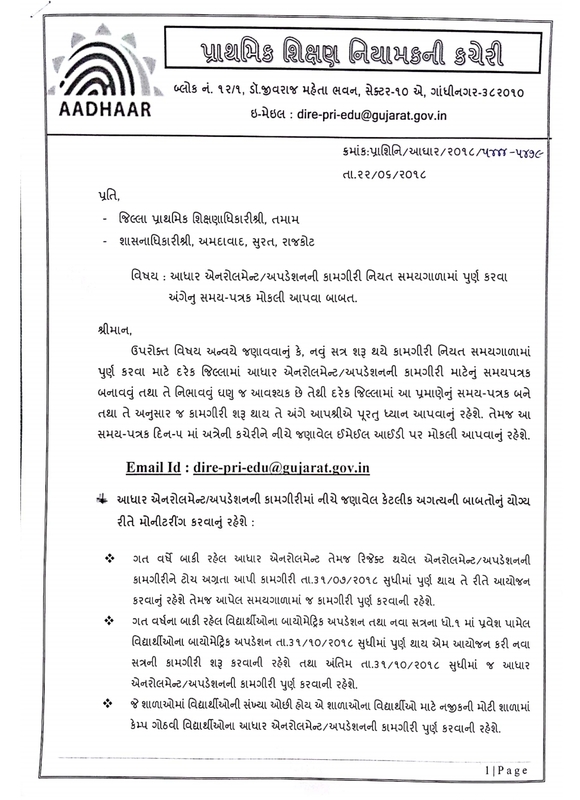 AADHAR ENROLMENT/ UPDATION NI KAMGIRI NIYAT SAMAY MARYADA MA PURN KARVA ANGE LATEST PARIPATRA DATE-22-6-2018. 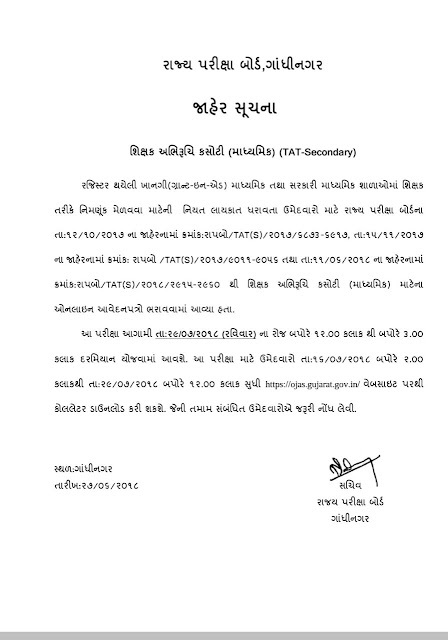 LEARNING OUTCOMES NI CHARCHA BABAT NIYAMAK NO LATEST PARIPATRA DATE -22-6-2018.
and other important details given below address. 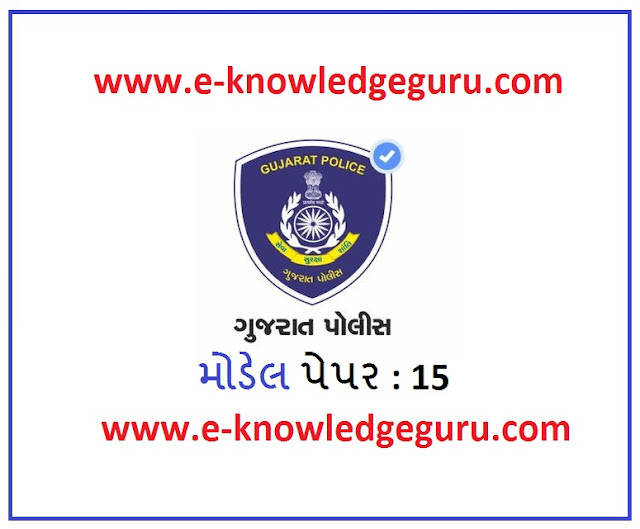 Also Check Gujarat Government jobs updates central government jobs updates Jobs in Gujarat, 10th, SSC, Matriculation,HSC, ITI, BSNL, Amazon, Google /12th, Graduation, PG, PTC B. ED, Gujarat secondry and higher secondary schools and experienced Candidates. Reference our Advertisement dtd. 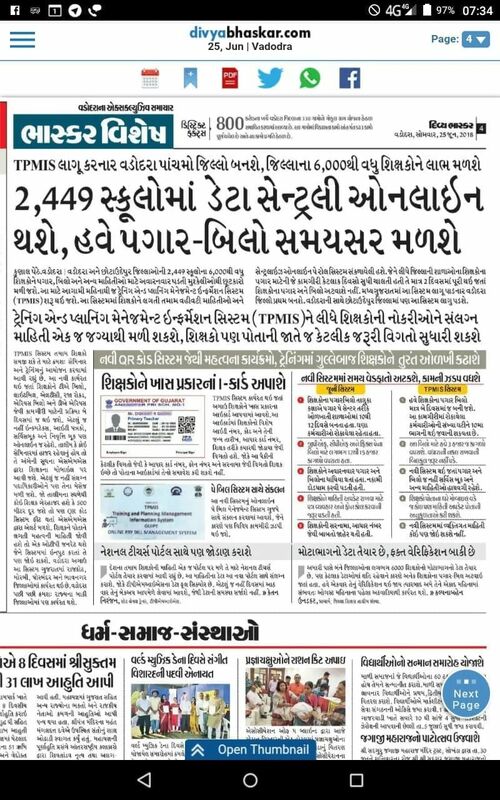 13/06/2018 & 14/06/2018 in various news papers. Candidate must be Computer and Technology Savvy.. 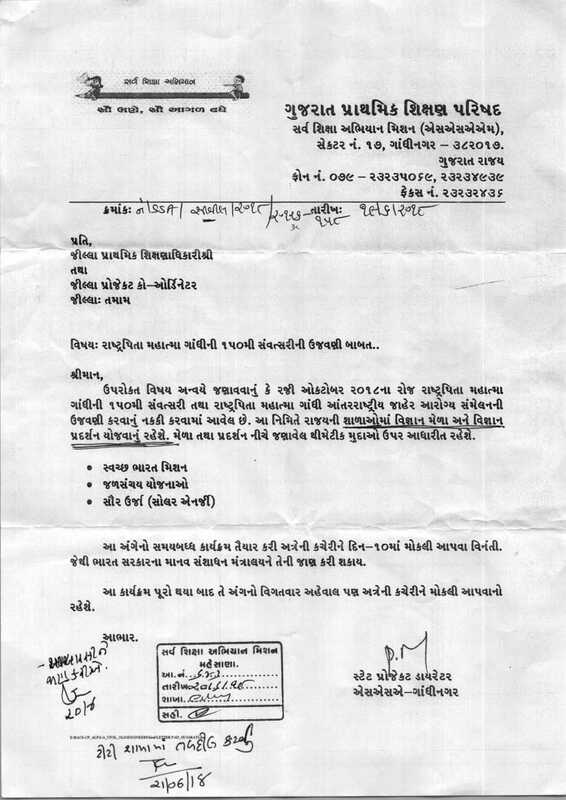 Candidate must have exposure to SAP system & knowledge of Gujarati will be preferred. The selected candidate will have to execute a Service Agreement for the amount of Rs.2.5 lakh for the period of 5 (Five) years. Please note that canvassing in any form shall disqualify the candidate for the selection process. 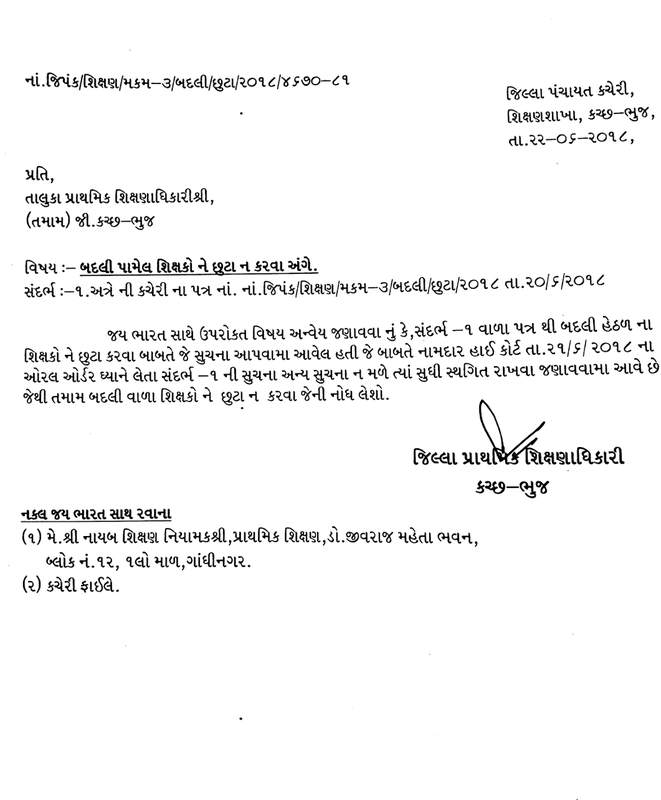 Management reserves the right to cancel / restrict/ enlarge/modify/alter the recruitment/selection process without assigning any reason thereafter. The management reserves the right to add, modify or delete any eligibility standards/ criteria test as the case may be, to the selection process. Interested candidates may fill-up the application form online through below mentioned link as well as upload the detailed resume latest by 23-06-2018.